After a year of research comparing construction modules in Canada and the US, Concordia PhD student, Mohammadgavad Arabpour Roghabadi won’t be able to present his findings at a conference in California this June. Why? Because of where he was born. Arabpour Roghabadi applied for a United States conference visa, after his building engineering paper was accepted for presentation during the American Association of Cost Engineers’ international conference happening from June 24 to 27. Cost engineers oversee the management and costs of building projects he explained. 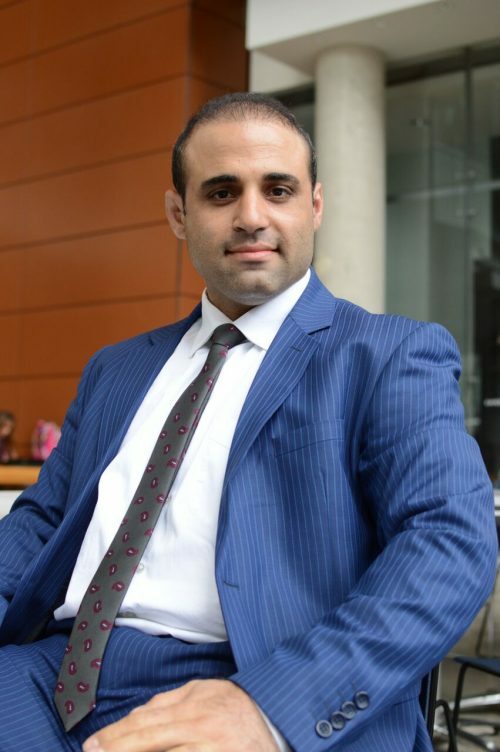 After completing his bachelor’s and master’s degrees in construction engineering in Iran, Arabpour Roghabadi began his PhD at Concordia in January 2017, under the supervision of professor Osama Moselhi. “I wanted to work with Moselhi because he is well known in the world of engineering and has had a lot of contributions to the field,” said Arabpour Roghabadi . Arabpour Roghabadi felt frustrated and sad he couldn’t take part in a scientific conference simply due to his place of birth. Per this executive order, citizens from Iran, Libya, Syria, Sudan, Iraq, Yemen, and Somalia, can no longer obtain a visa to the United States, with some exceptions. According to the proclamation, Iranian citizens may obtain a student visa or an exchange visitor visa on a case by case evaluation. The letter also informed Arabpour Roghabadi that his case was to be further reviewed by the consular office. “I was asked to give the consular office all of the usernames I have on social media, all of the phone numbers I have ever had, all of the addresses I’ve had, even my family’s information,” said Arabpour Roghabadi in an interview with The Concordian. He was even asked to provide the consulate a list of all his travels in the last 15 years, as well as a certified police check. The PhD student also provided a CV and information regarding his financial standing. Finally, he was not granted a waiver. “I was sad when I was refused [a visa] because of where I was born. In my perspective it’s a kind of racism, which should be condemned. I’m proud to be Iranian,” said Arabpour Roghabadi. He added, “It doesn’t matter where I’m from or what my [religion is]. What’s important is how I can make contributions to the world.” With that in mind, he wrote a heartfelt letter to Justin Trudeau to thank him for being the leader of such an open and diverse country. “I wish to send a message to all students about how racism can affect the future of young people who want to make contributions, but also how Canada has the perfect platform for young people to make contributions. I’m thankful for that,” said Arabpour Roghabadi. Moselhi will be attending conference to present his and Arabpour Roghabadi’s findings of the comparative study in building engineering, which would help give a more accurate estimation of the cost of construction. The state of Hawaii is leading an effort to overturn the travel ban. The Supreme Court of the United States is looking into the constitutionality of the proclamation versus the question of national security, and will rule on the case by the end of the month.